The Newport Street Gallery is the culmination of a long stated Damien Hirst ambition – a desire to publicly show his private collection. It may also be part of an additional desire to prove that an artist can also be a gallerist and curator. Hirst of course broke the mould in 1988 as one of the main mover and shakers behind the notorious Freeze exhibition, where he helped gather together a group of his Goldsmiths art College contemporaries, many of whom later became known as the young British artists (yBa’s). 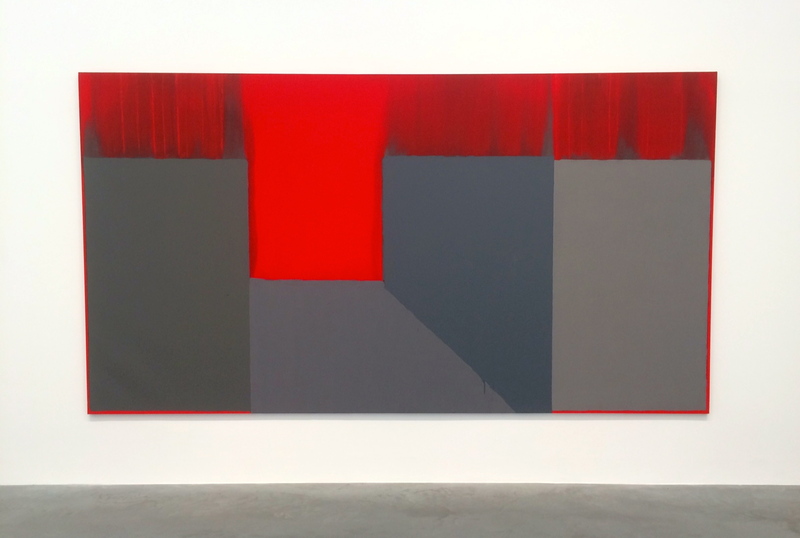 John Hoyland is perhaps surprising as a choice for the inaugural exhibition at the new space as he and Hirst are not at first glance natural bedfellows. 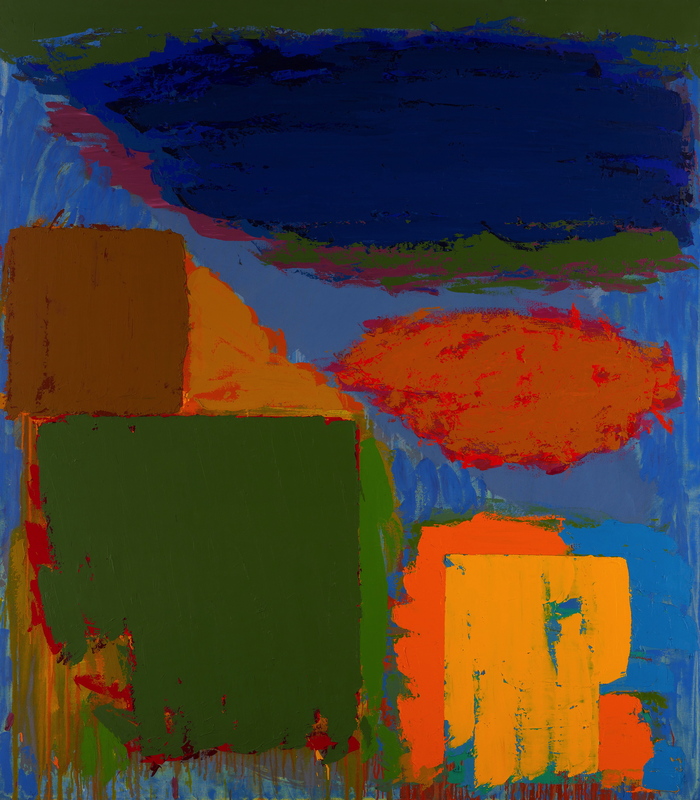 Hoyland, one of Britains foremost abstract (he preferred the term non-figurative) painters, was notoriously anti-conceptual and also felt that artists should be very much ‘hands-on’ and physically creating their own work. Despite Hirst being the antithesis of Hoyland’s ideals the two however became friends with Hirst steadily purchasing dozens of his works. And what an exhibition it is. Over thirty works pop and sparkle like jewels over the half a dozen airy ‘rooms’ set over two floors. 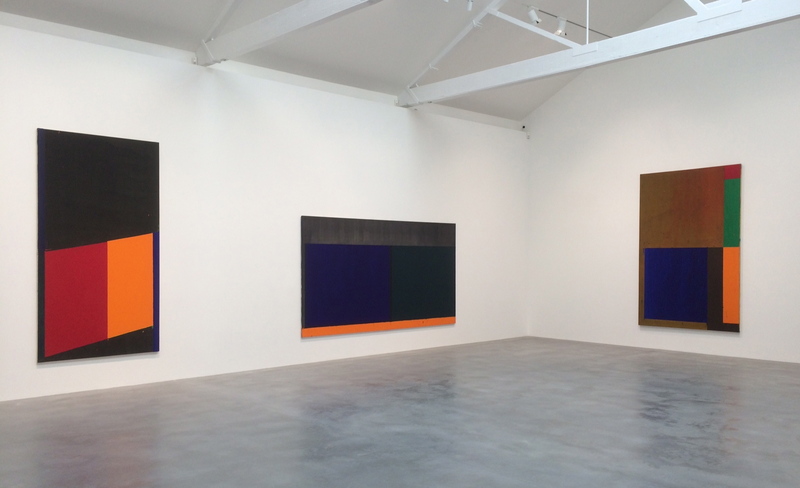 This is a perfect venue for Hoyland’s works, the ‘white cube’ warehouse space a fine foil for the oversized canvases with their gloriously vivid blocks of colour. Hoyland ‘discovered’ colour in the south of France in the fifties and in the early sixties was heavily influenced by American Abstract Expressionism, having visited New York to seek out artists like Mark Rothko and Barnett Newman. 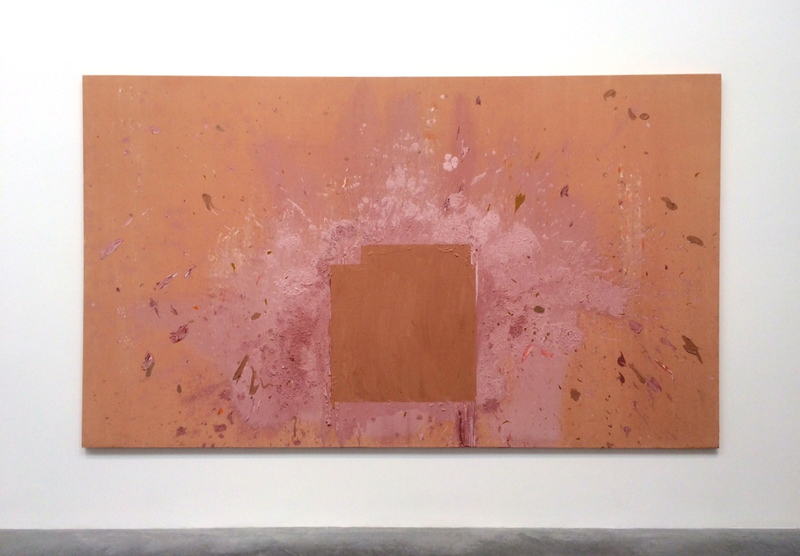 It is these influences from which Hoyland forged his own path and from this time that the first works in this exhibition were painted. 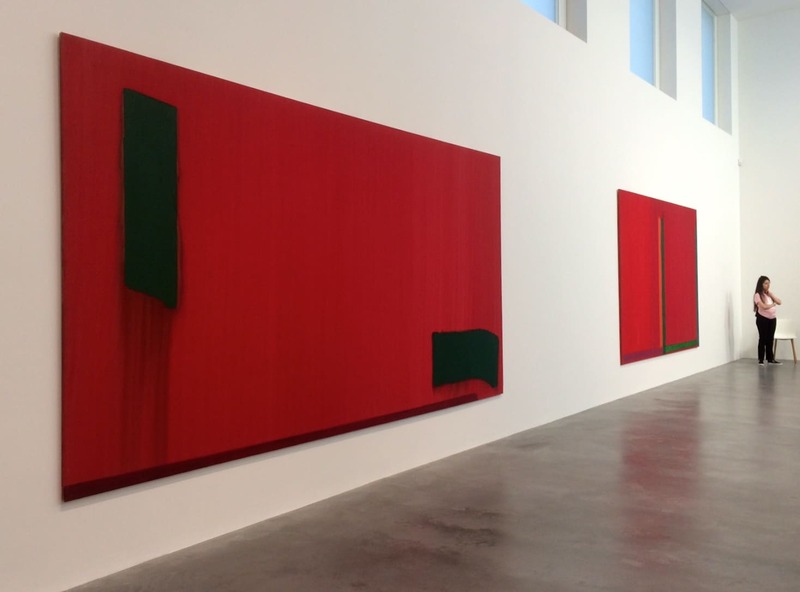 Arranged largely chronologically we begin with pieces from the sixties – the first room full of vivid red works, the second bright green ones. 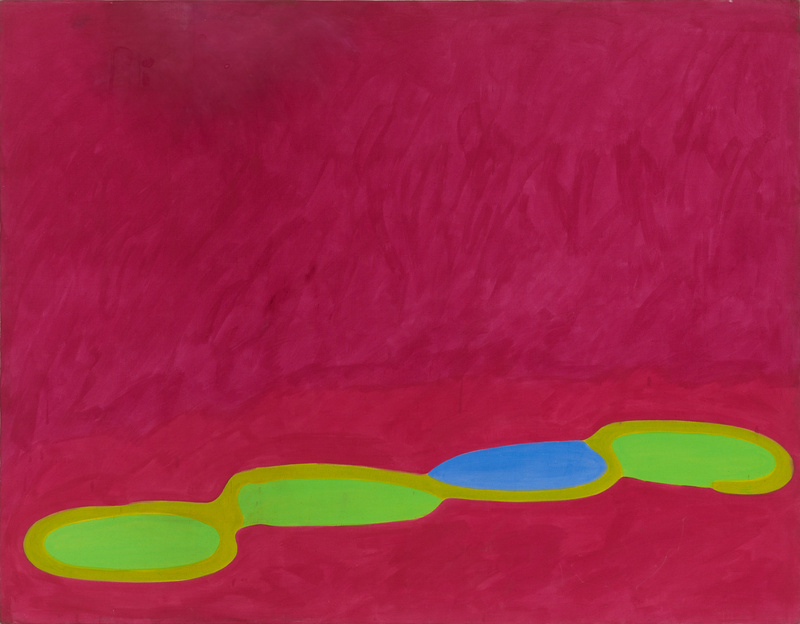 They are clearly heavily Rothko and Newman influenced, with expansive colour fields – the very earliest like 17.5.64 including biomorphic shapes, which in slightly later works have evolved in to roughly delineated colour blocks or columns. Rather than being flat though, there is a sculptural dimension with influence from his sculptor friend, Anthony Caro. As we move onwards (and upwards) the soft edges of the colour fields harden whilst surface texture increases. In works like 29.12.66 greys appear, whilst in others there are more colours, diagonals and bolder forms make a more graphic statement. One rather different work 23.2.71 painted in a pale pink and gold comes from a short period in the early seventies spent in his Wiltshire studio where he used a more delicate palette, but it was not long before he was back to powerful blues and reds alongside other strong colours in works like 29.3.80. Using diverse means of application these forceful compositions include strong diagonals and fractured patches of colour in heavily textured paint. 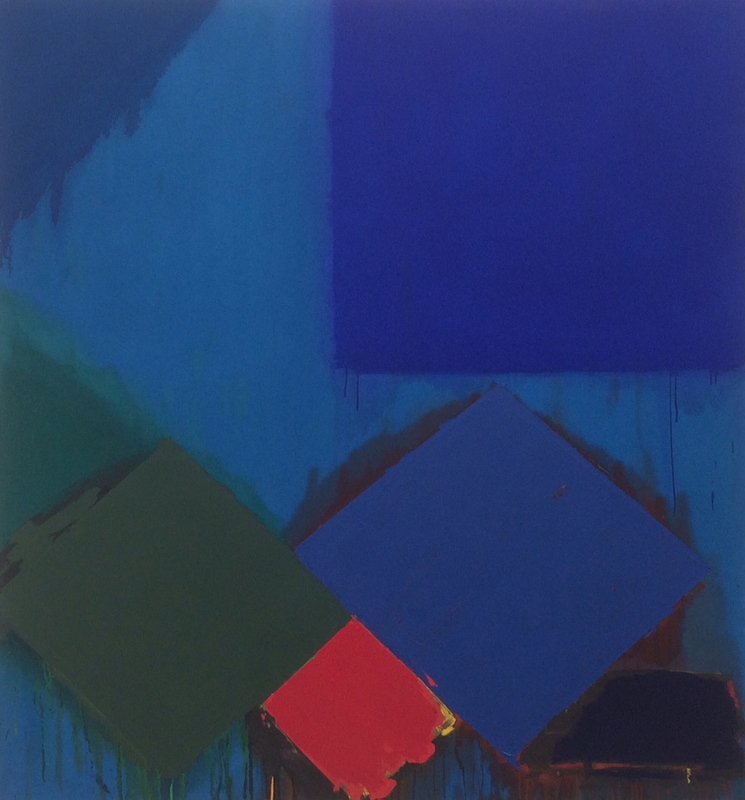 Perhaps Hirst has selected Hoyland to avoid the more obvious selection of works from fellow yBa’s for example or perhaps he feels an affinity between this sculptural use of colour and his own spot and spin paintings. In any case this is a successful show in a truly wonderful space. Hopefully soon we can follow a Newport Street Gallery visit with a meal in Pharmacy2 due to open on the top floor in 2016. 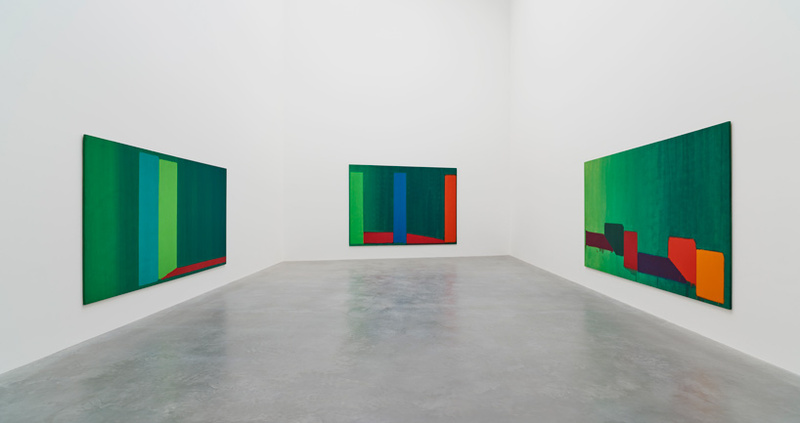 John Hoyland: Power Stations Paintings 1964-1982 is at Newport Street Gallery until 3rd April 2016. All images by CELLOPHANELAND* and Newport Street Gallery. 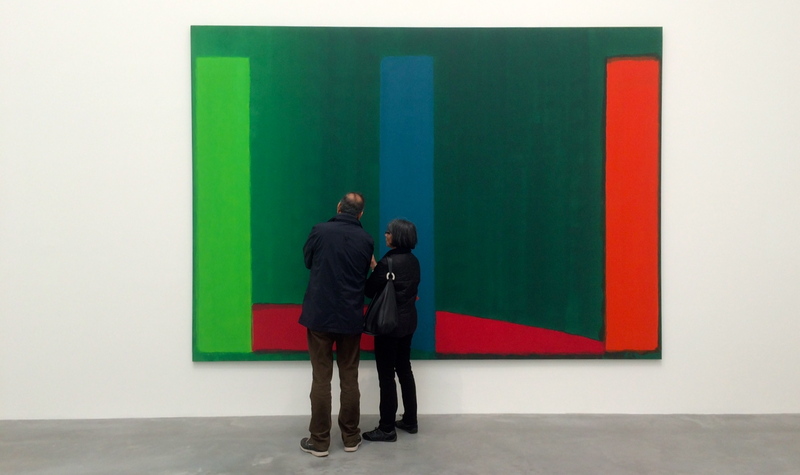 You are currently reading John Hoyland: Power Stations Paintings at Newport Street Gallery at a kick up the arts.